New book, 64 pages, FOR035. On 11 January 1879 the British Empire went to war with the independent kingdom of Zululand. The British anticipated a swift and decisive victory, placing great faith in modern firepower; no plans were made for suppressing the Zulu over a protracted period, or for providing defensive positions from which to occupy Zulu territory. 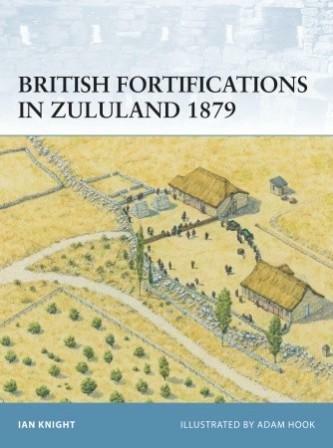 However, the losses suffered at Isandlwana and Rorke’s Drift quickly altered the British approach; throughout the rest of the war, the British fortified almost every position they occupied in Zululand, from permanent column depots to temporary halts. This title explores British defensive techniques employed during the war, and how these related to contemporary engineering theory. Among the sites covered are Eshowe Mission Station, forts Pearson and Tenedos, and Rorke's Drift.